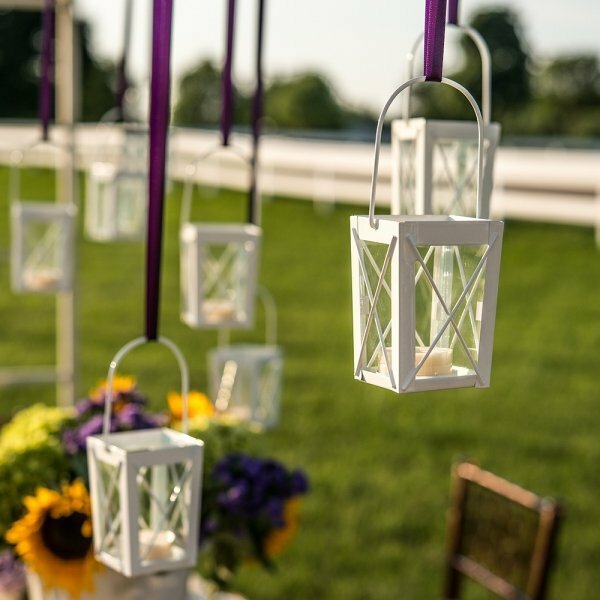 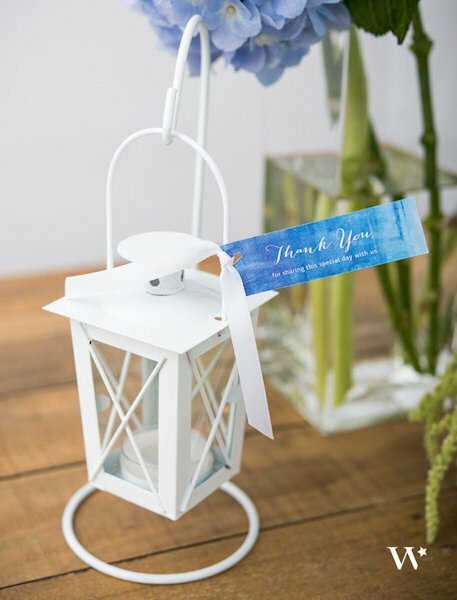 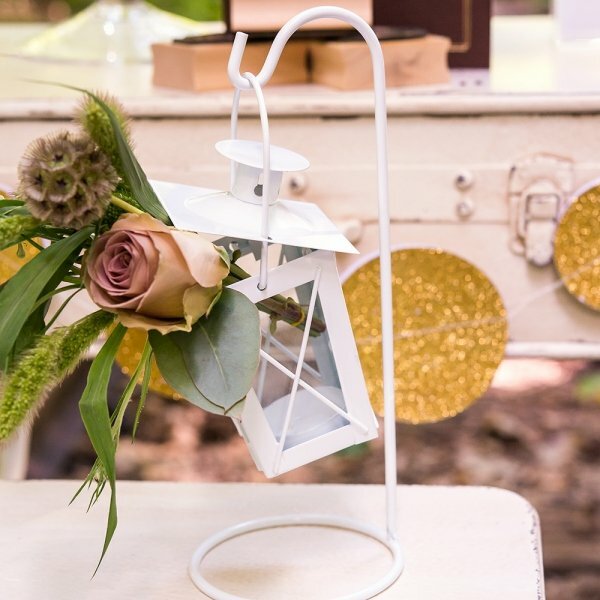 Light up your reception tables with these adorable miniature white lanterns that each have their own hangers. 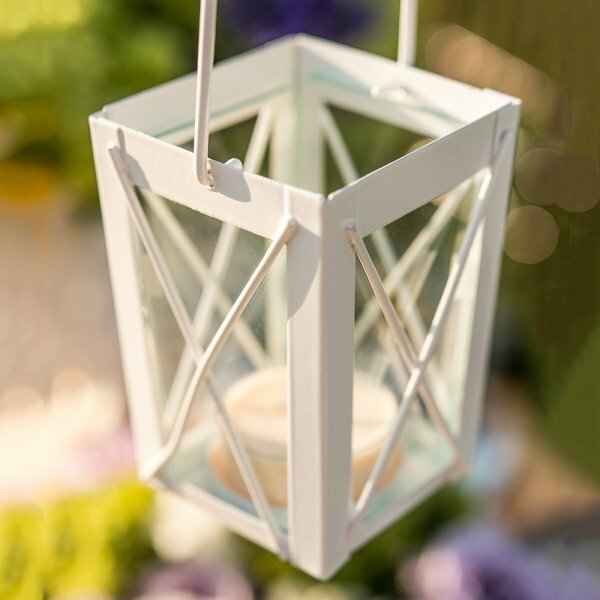 Perfectly sized to hold tealight candles (not included) so that a warm glow radiates throughout the room. 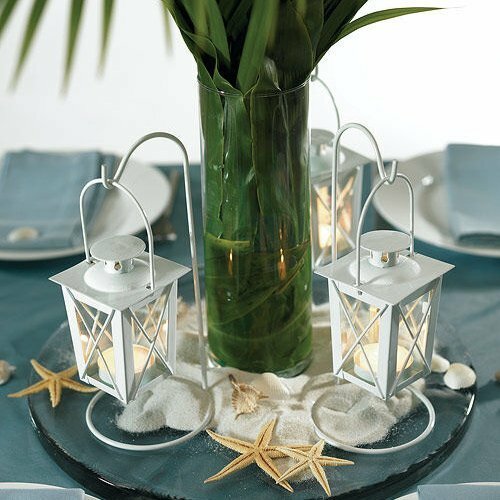 Combine the lanterns with some personalized ribbon, sand, seashells and other beach accessories to create unique table centerpieces or give them to guests as favors. 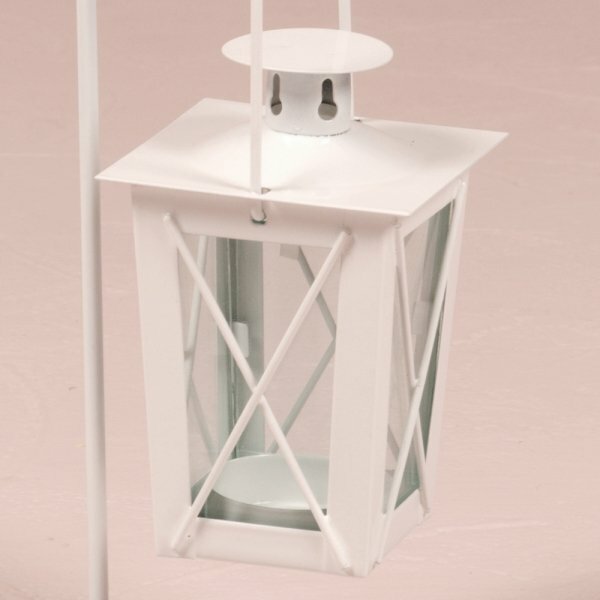 The hanger itself is 9.5 inches tall, and the lantern itself is 6.5 inches tall. 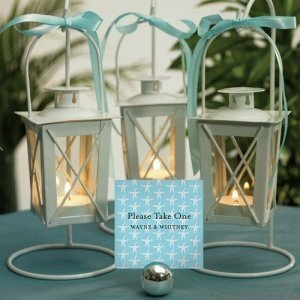 Be sure to check out our Personalized Favor Tags to customize the favors further (sold separately). 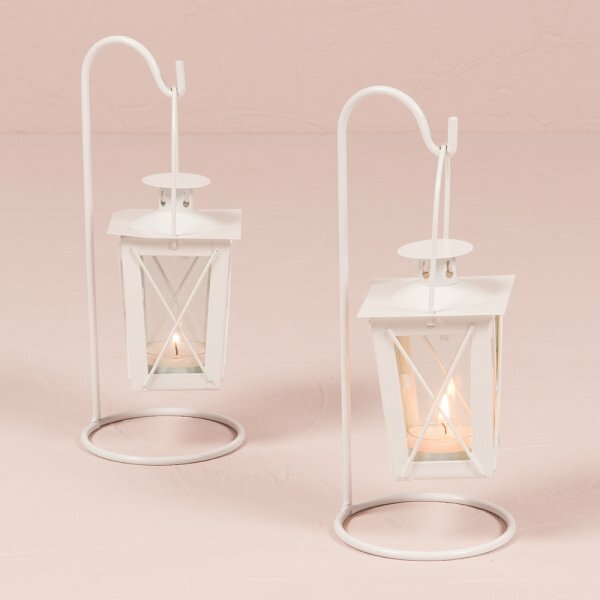 How tall is hanger and how tall is the lantern itself?